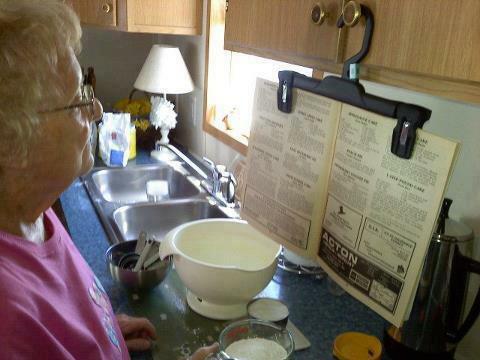 What a quick and easy cookbook holder. It works well with magazines, or printed paper if you’re using online recipes. The only way this trick doesn’t work is if you don’t have cabinet door knobs.